What defines power? 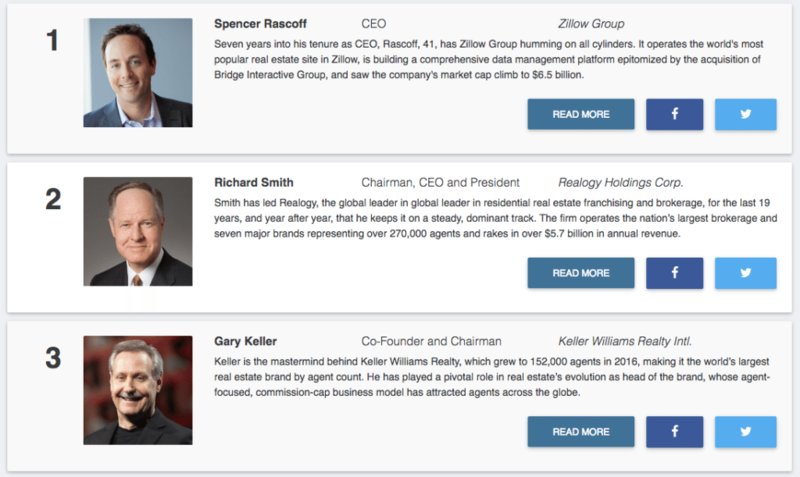 Certainly not popularity, Stefan Swanepoel opines in his 2017 list of residential real estate industry heavyweights, released today with Zillow Group CEO Spencer Rascoff winning the top spot. 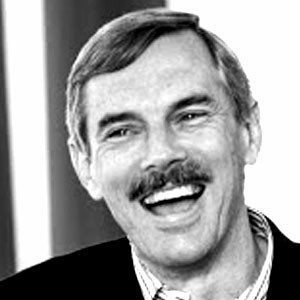 The Swanepoel Power 200 (SP200) annually ranks the 200 most powerful people in real estate along with a series of influencer subsets including corporate executives, power brokers, technology executives, association/MLS executives and women leaders. In addition to the main power list, the SP200, generated by the Swanepoel T3 Group, recognizes additional movers and shakers in four bonus categories: Trendsetters, Social Influencers and Outside Powers. Emerging Leaders, honoring leaders under 40, was a new SP200 spotlight this year. In 2016, Zillow Group made headlines for litigation, acquisitions, new offerings and a profit-turning third quarter. In addition to Rascoff, Zillow Group’s Amy Bohutinsky, who is often considered “the smartest of a very smart group of senior executives” at the company, took first place among the list of most influential female leaders and 10th place overall. On the main list, Realogy CEO, president and chairman Richard A. Smith, who was ranked as the No. 1 power player for the past three years in a row, ranked second behind Rascoff, followed by Keller Williams Realty chairman, co-founder and “mastermind” Gary Keller in third place. Under Keller’s leadership, KW “grew to 152,000 agents in 2016, making it the world’s largest real estate brand by agent count,” the SP200 noted. In total, the main SP200 list featured 45 women, two of whom were listed in conjunction with their male business partners. Last year, Stefan Swanepoel noted that women and minorities rarely helm leading real estate firms. Bohutinsky’s company on the list of top five Women Leaders includes Helen Hanna Casey, president of Hanna Holdings; Dorothy “Dottie” Herman, president and CEO of Douglas Elliman; Jill Jacobi Wood, president of Windermere; and Pamela O’Connor; president and CEO of Leading Real Estate Companies of the World. Better Homes and Gardens Real Estate (president and CEO Sherry Chris), along with The Corcoran Group and ERA Franchise Systems all had female executive leadership that ranked in on the SP200’s top 50 overall. Emerging Leaders, a fresh bonus addition to the SP200 this year, honored leaders aged 40 and under (as of December 31, 2016) who are making waves. Of the 20 mentioned, 19 are men. Finally, Inman publisher Brad Inman ranked at No. 34 on 2017’s SP200, while Inman editor-in-chief Amber Taufen was honored for the first time with a spot on the Trendsetters list.